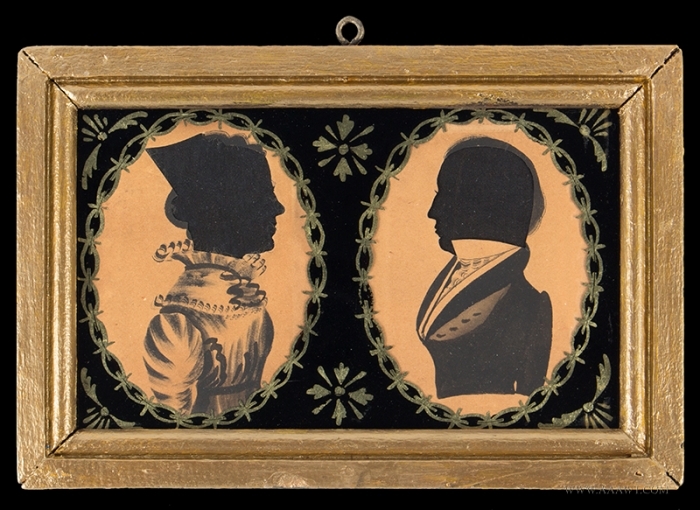 Presented here, a pair of very fine Hollow Cut, Pen & Ink & Watercolor Silhouettes of a Lady and Gentleman with outstanding fully painted bodies, circa 1820's. They are now mounted under an eglomise mat and gold frame measuring 7.5 x 5 inches, 6 x 3.5 inches (sight). A very nice presentation of a handsome couple.